Sheffield United vs QPR predictions ahead of Saturday’s Championship clash. Can the visitors maintain their play-off push? Read on for our match preview and free betting tips. Sheffield United put their promotion chase to the test this week, with a meeting with play-off hopefuls QPR. The hosts know that the second half of their season last time out saw them lose momentum in the play-off chase, ultimately falling short. They are aiming for better this time around, especially since they’re just two points shy of the top two. Can they edge out a QPR side who come here searching for a Premier League spot themselves? The visitors have picked up a few decent results of late, and they’re likely to be a difficult proposition for the Blades. The home side were shocked in the FA Cup at the weekend, losing 1-0 to Barnet in a major upset. However, they can focus on the league campaign now, as they try to make a push for a place in the Premier League. After just two seasons back at this level, Chris Wilder’s side are already itching to return to the top flight. They have modelled themselves on Bournemouth, a side who came up from League One, had a season to adjust and then stormed into the Premier League. On top of that, the Cherries have done well since. 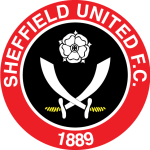 Can the Blades emulate their rise? QPR have just landed a huge win, beating Leeds in the cup at the weekend. However, they met a much-changed outfit at Loftus Road, which came on the back of a 2-2 draw with Aston Villa. Rangers have managed to stay in the hunt for a top six finish, but with four points between them and Derby, they still have some way left to go. A defeat at Bramall Lane would be a setback, but it’s going to be tough for them to get anything from this visit to one of the strongest home sides in the league. The Blades have won seven of their home matches this season, with big back to back wins ahead of this clash. They saw off Blackburn 3-0 and promotion rivals Derby 3-1 at home in their last two here. Overall they’ve scored 23 times in the league at home, while they have one of the league’s best attacking records overall. On top of that, only two sides have bettered Sheffield United’s points haul over the last eight games. They come into this one playing well, with nine goals in their last three league games. We see them adding to their strong league form here, against a QPR side who have conceded twice in four of their last five trips. Seeing as the Blades have scored twice in three of their last four encounters, we’re backing over 1.5 team goals for the hosts. 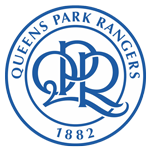 After emerging victorious at Bramall Lane just twice in their first 18 league visits, Queens Park Rangers have won on two of their last six such trips (D1 L3). Sheffield United have not won three successive Championship matches at home since March 2018, a run which included a 2-1 victory over QPR. QPR have won 16 points in 13 away games this season – one more than they registered in the whole of 2017-18 (15 in 23). No player has scored more headed goals in the Championship this season than Sheffield United striker Billy Sharp (five – alongside Tammy Abraham).